I would like to thank everyone from Dove who was involved with Sylvia, in any way over the last few years, for their helpfulness and their care. 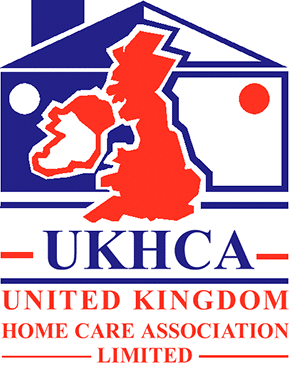 We really have appreciated the high quality of care provided and it was very reassuring to have such reliable and consistent carers. This also enabled us to keep mum in her own home, where she was comfortable. I would especially like to thank Sheila for the loving personalised care she gave to mum for over three years and her consideration and thoughtfulness in her role as carer. Also more recently Ellen and Brenda who were equally caring. They have all been truly wonderful, especially when mum’s health deteriorated and things became more difficult. We will be forever grateful for their kindness and support. 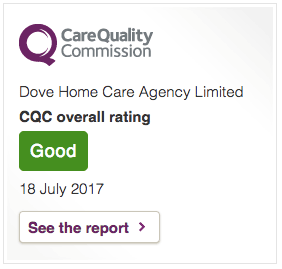 Once again, many thanks and please be assured that we would have no hesitation in recommending Dove to others.